Increasingly, today’s building engineers are recognizing the benefits of high-purity water in adiabatic (misting) and isothermal (boiling) humidification systems. Running this equipment with ordinary tap water requires frequent draining, flushing, and skimming. Even softening, which can provide a degree of relief, does not fully alleviate these maintenance headaches. 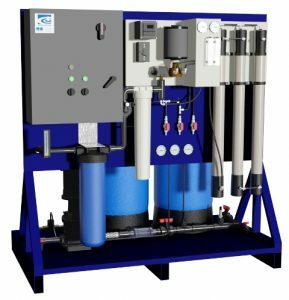 In contrast, using high-purity (Reverse Osmosis (RO) / Deionized (DI)) water virtually eliminates any maintenance whatsoever on commercial humidifiers. This equates to less system downtime, less wasted effort, and extended equipment lifespans.